This is the second in an an ongoing series of short posts by Dave Burnett, who trained as a real-life miller, and who also plays the old miller, Kelmar, in The Miller and His Men. 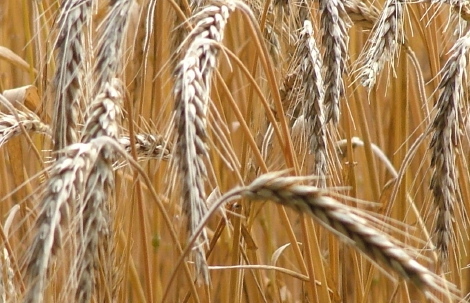 Wheat was rare in the early pioneer days. A substantial amount of seed wheat that left the shores of Europe did not last on the voyage across the Atlantic either due to spoilage or consumption by the crew and passengers on the ship. As a result, wheat for seed carried a premium making it too expensive for many settlers to buy in volume. Wheat and wheat flour and breads were a sign of affluence and often used as currency to pay mortgages or settle debts. Looking for something to do this afternoon? Join a tour of London’s 19th century buildings, led by an Eldon House interpreter, leaving Eldon House this afternoon (Saturday, May 28th), at 1PM, 2PM, and 3PM. This Hike will explore the environs of London’s oldest home : Eldon House. Participants will also be lead to the oldest commercial buildings, municipal buildings and settlement sites important to the founding of London. This walk begins at Eldon House. Eldon House is located at 481 Ridout Street. It is London’s oldest residence, and is well worth a visit at any time (Hours).